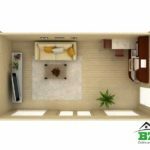 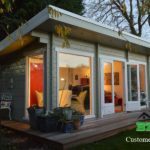 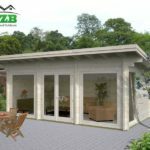 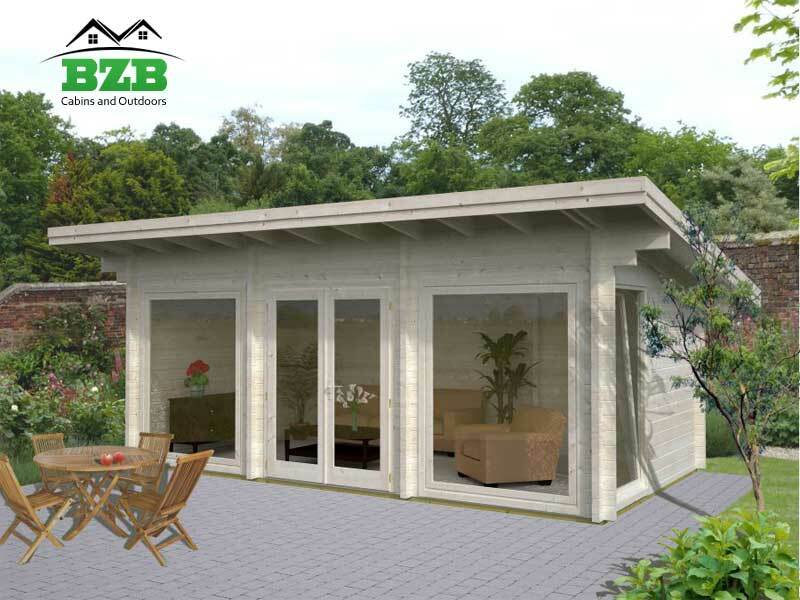 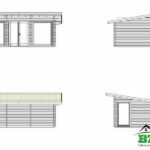 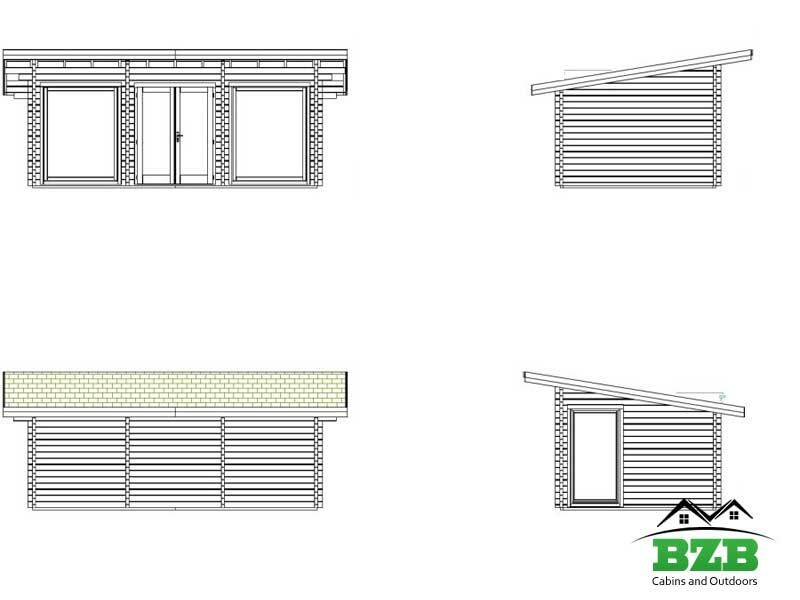 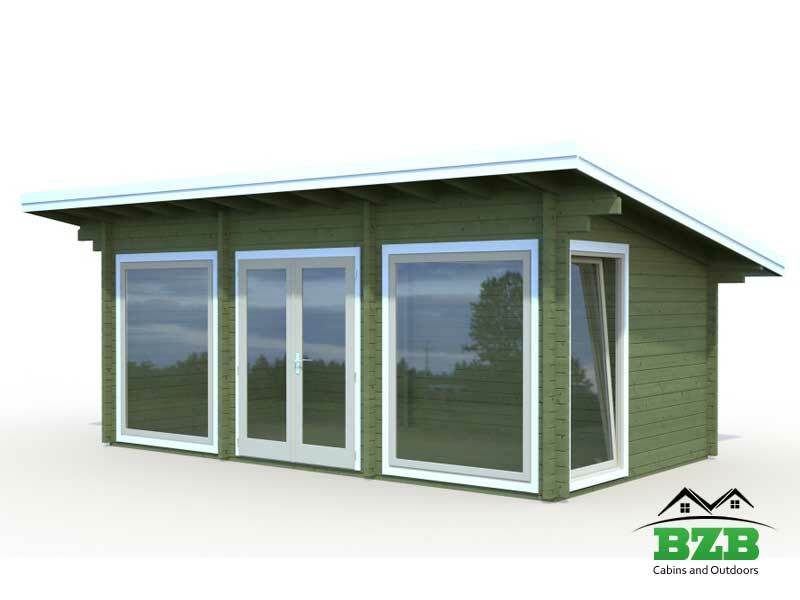 The BlueBell cabin kit is a luxurious and modern looking cabin with an inside floor area of 212 square feet. 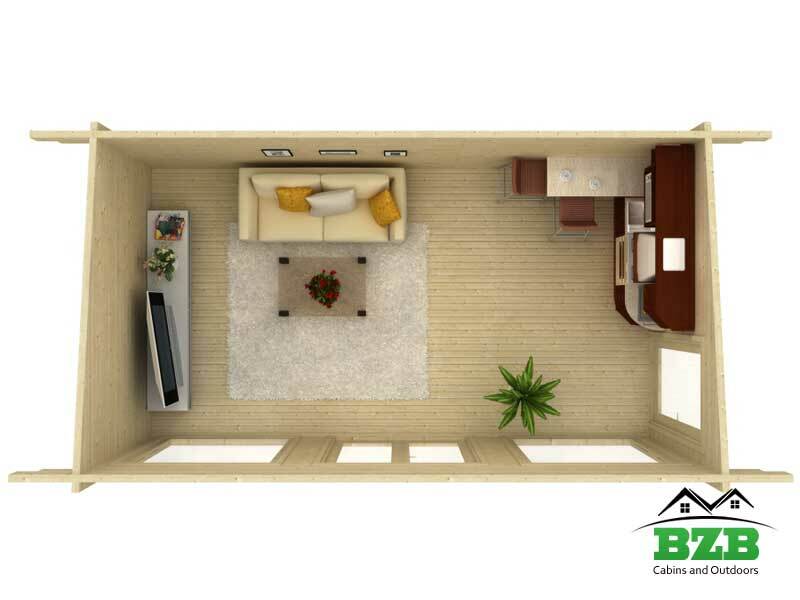 The 7’9” height of the wall makes the cabin feel large and spacious. 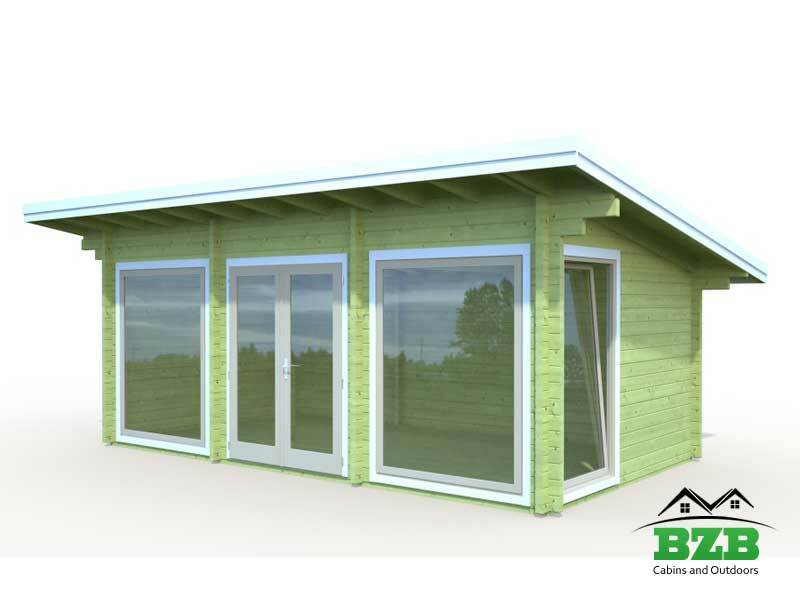 Oversized windows bringing in a lot of natural light that makes the cabin perfect as an artist studio, a pool house, or anything you can imagine. 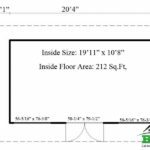 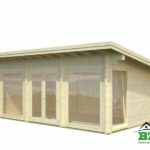 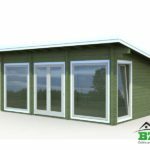 Double Pane Real Glass, 2x 56-5/16" x 76-3/8", 39-3/8" x 77-1/2"
The BlueBell log cabin kit is a luxurious one room cabin sporting an inside floor area of 212 square feet. 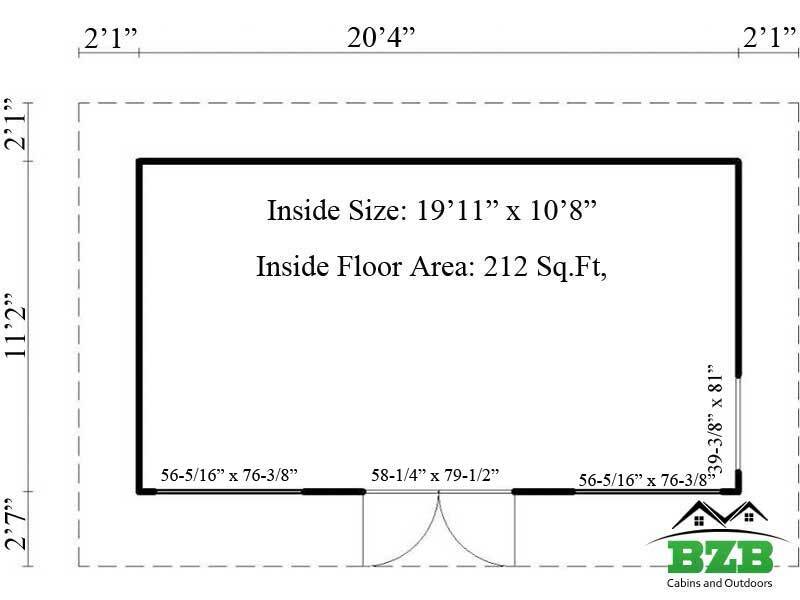 This is larger than the average one bedroom apartment. 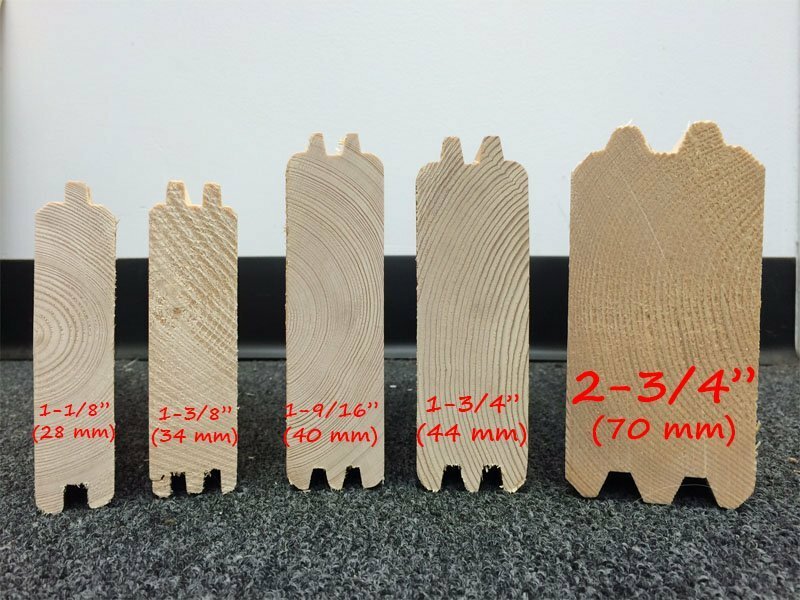 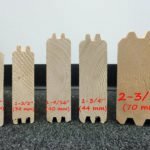 With a high-quality timber wall thickness of 70mm you will be able to hang your favorite pictures and you will definitely experience that comfortable cozy feeling, which makes you feel right at home. 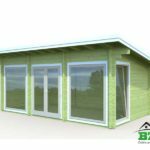 The 7’9” height of the wall makes the cabin feel even larger and allows for some really neat and open windows, bringing in a lot of natural light to make this an energy effective log cabin, which is also environmentally friendly. 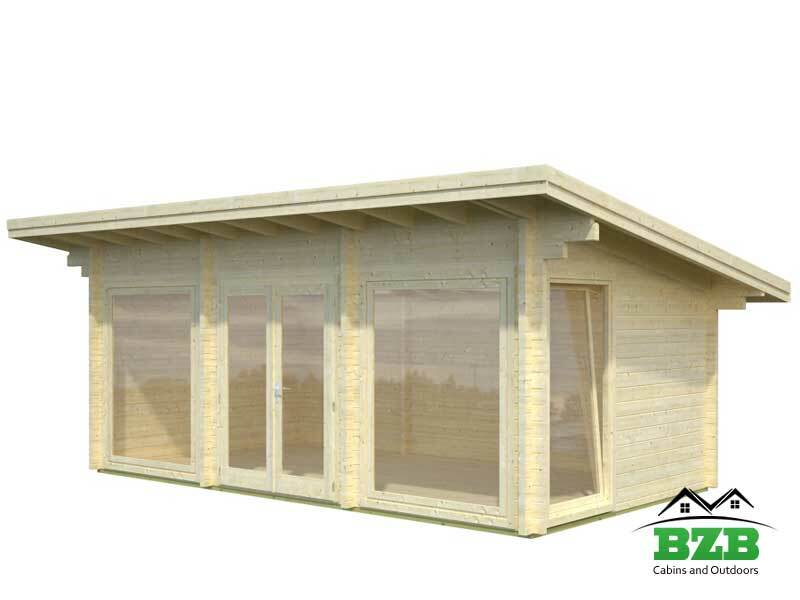 The large interior dimensions (19’11” x 10’8”) provide the BlueBell log cabin with a sense of spaciousness, allowing you to furnish your cabin without the fear of cramping all your belongings into a small, uncomfortable space. 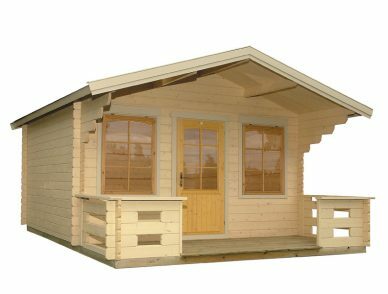 The BlueBell log cabin’s external dimensions of 20’4” x 11’2” allow sufficient space for a beautiful porch where you can sit and relax on your favorite chair after a long day of hard work. 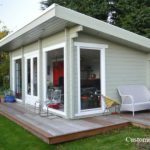 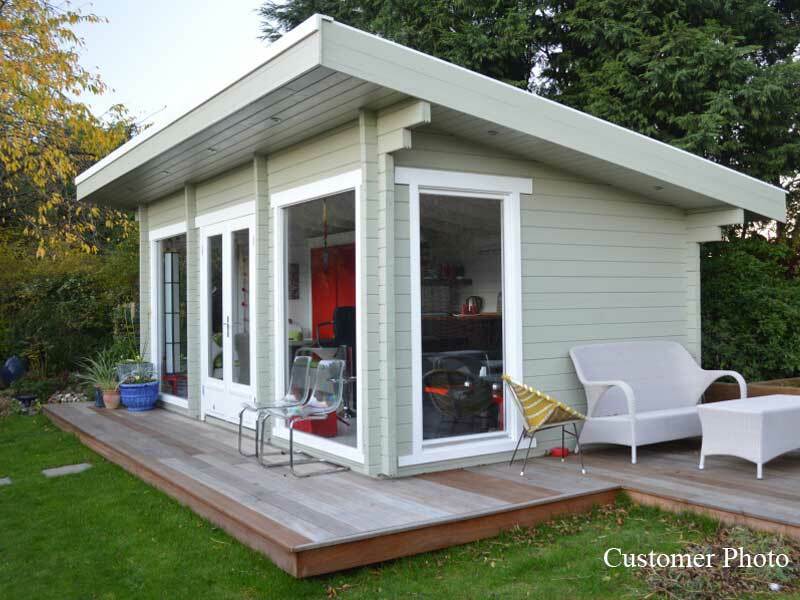 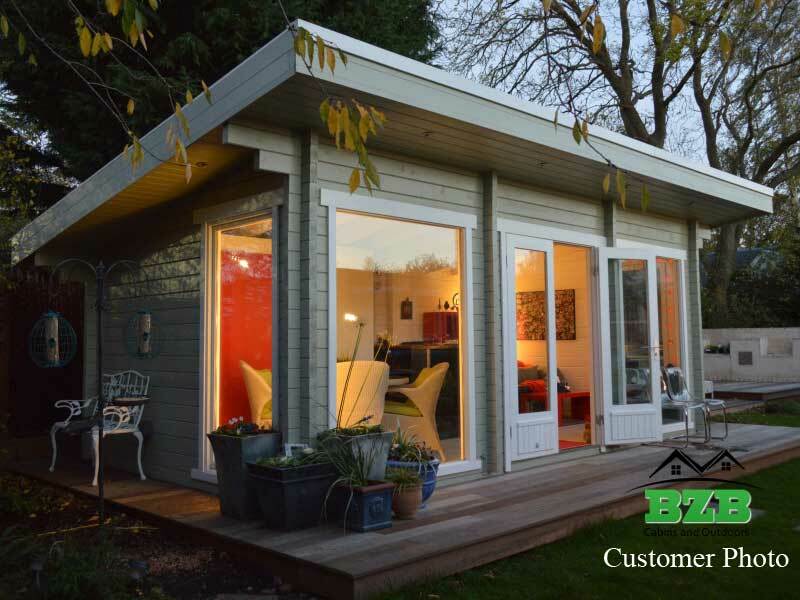 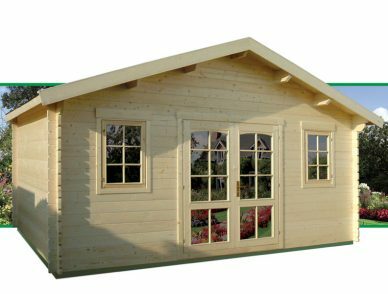 This attractive porch also allows you to easily furnish the area with several deck chairs, a coffee table and some lovely plants to go with your stunning, one of a kind BlueBell log cabin. 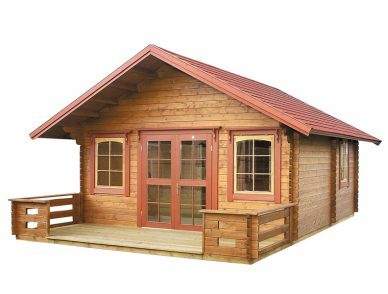 With the overall dimensions of 24’6” x 15’10”, this practical and appealing BlueBell log cabin kit makes for one amazing home, a home in which many truly amazing memories can be made.